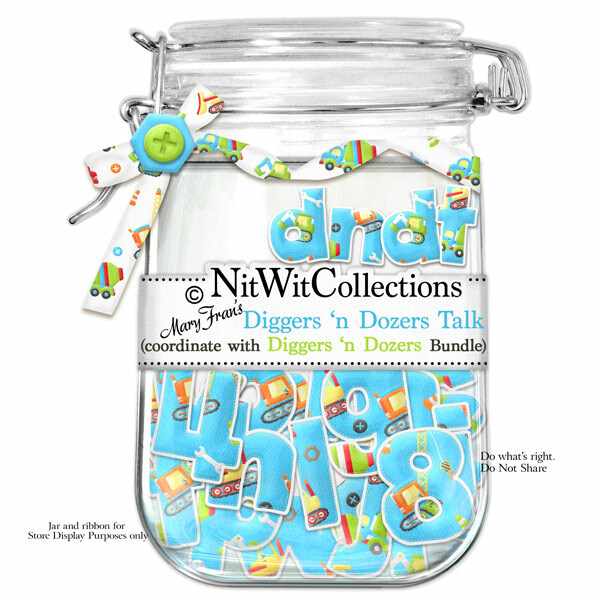 "Diggers 'n Dozers" Talk lets you put titles, dates and other descriptive words on your layouts and cards. Why not shout it out! It is always proper safety to let others know.